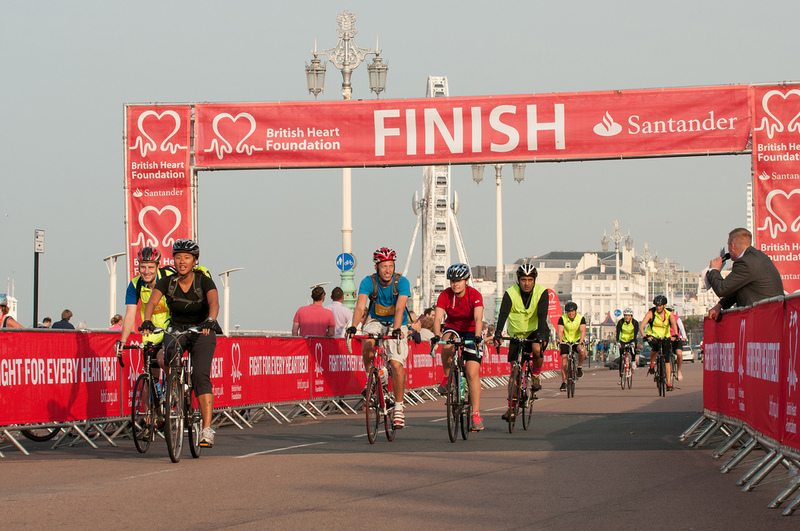 On 13th July I took part in the British Heart Foundation London to Brighton night ride. It was my first ever overnight ride so I was rather excited. The ride starts at Clapham Common in London and finishes in Madeira Drive in Brighton exactly the same as the daytime London to Brighton bike ride. 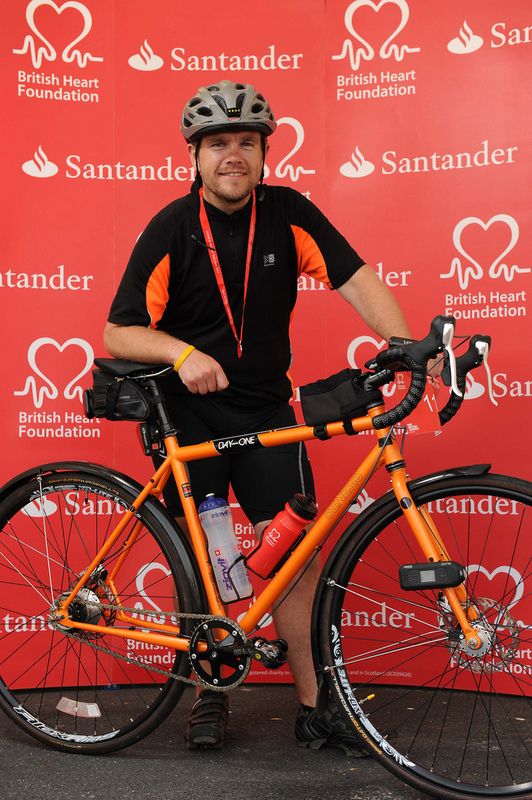 The route is slightly different in places and is longer, 60 miles in total. I was doing the ride with two colleagues and we had a start time of 11pm. We lined up at the start gate and waited for the green light. The roads were a little busy and people were spilling out of pubs but it was nowhere near as busy as the daytime ride. More than likely due to the fact that there is a fraction the number of cyclists taking part. The evening was a warm one and it didn't get noticeably colder until about 2.30am. Short sleeve top and shorts was the order of the day (or night). There was a regular stream of red flashing lights on the route and it was well marked out and easy to spot the direction signs in the dark. There were three well stocked rest stops along the way, selling hot drinks and hot food. As we headed to Devil's Dyke the sun was rising in the distance. It was a nice sight from the top of the hill. We arrived in Brighton at 6am, collected our medals and headed off to find breakfast. A great event that I'm looking forward to taking part in again next year.